The release of Ontario Climbing: Vol 2 The Northern Escarpment completes this two-book series and offers Ontario climbers the first comprehensive climbing guide to the Niagara Escarpment in over 25 years. Ontario Climbing: Vol 2 The Northern Escarpment provides accurate and up-to-date route information for over 1200 routes at crags starting in the Beaver Valley area and continuing all the way up to the top of the Bruce Peninsula. 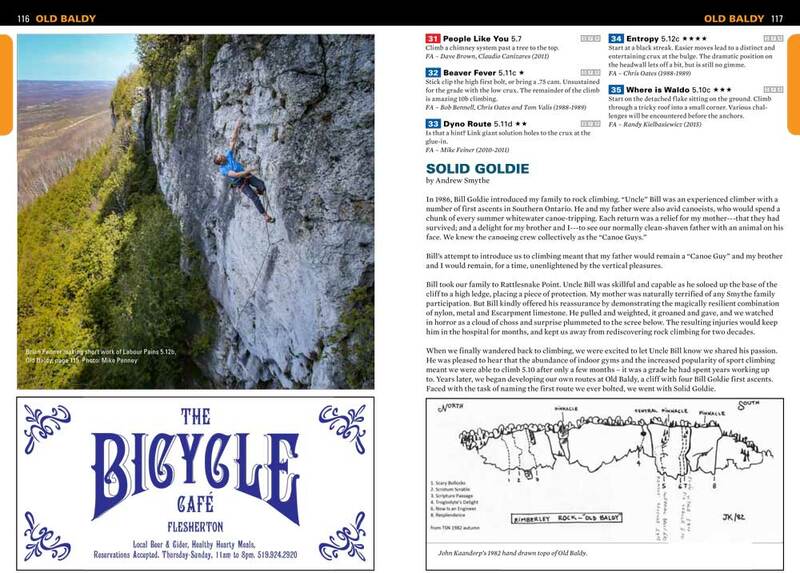 Like the first book (Vol1), this guide is extensively researched and provides vibrant and entertaining history and insight to the area and the characters that helped create the climbing that many of us enjoy today. The book is more than a simple list of route names and grades, but rather a celebration of the accomplishments of past and present climbers. 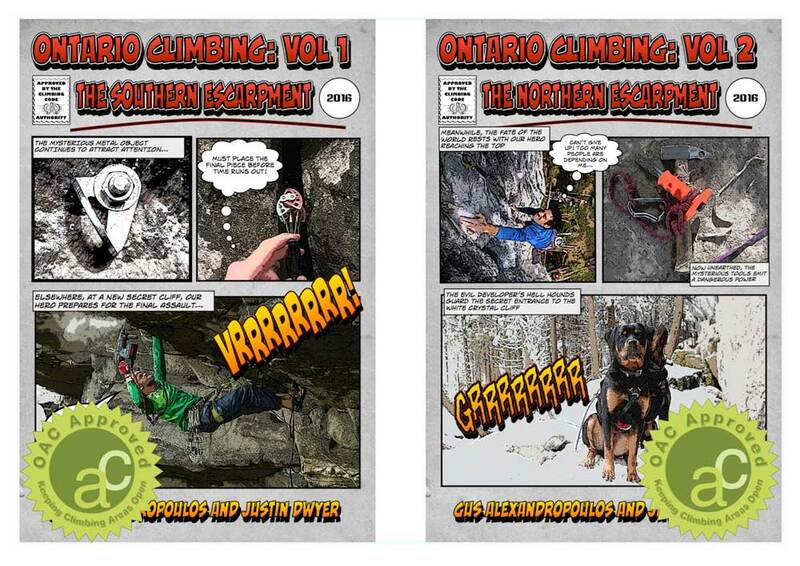 Ontario Climbing: Volume 2, The Northern Escarpment. In addition to being a valuable resource for locating crags and climbs, Volume 2 fosters an appreciation for the history of climbing on the Northern Escarpment; highlights how lucky we are to enjoy such beautiful, natural places; and emphasizes respecting everyone’s outdoor experience — all aligned with the OAC’s goals. Gus Alexandropolous is a freelance writer based out of Hamilton. He has been a prominent member of the Southern Ontario climbing community for 30 years. 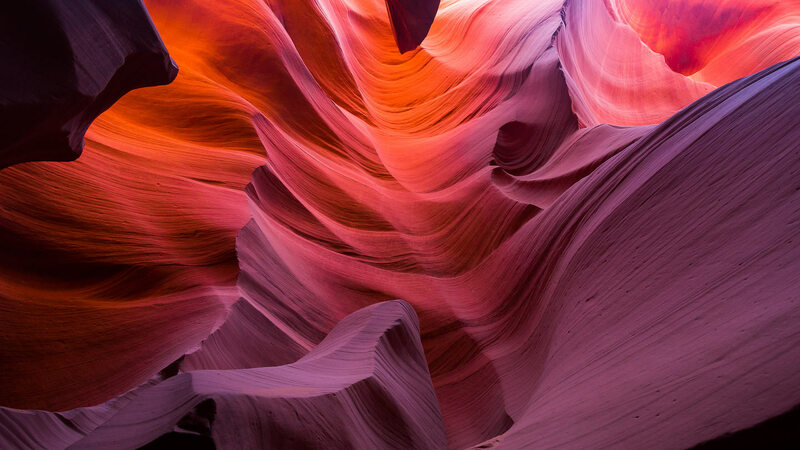 While he established numerous first ascents over the decades, his real claim to fame came in the early 2000s when he discovered and almost single-handedly developed The Swamp and its almost 150 moderate sport routes. Gus has been a career climber for most of his life including stints as the editor at Gripped, Canada’s national climbing magazine as well as holding senior positions at a number of Canadian and international climbing companies. Justin Dwyer is an ACMG certified climbing gym instructor and apprentice rock guide. He has been climbing and documenting routes on the Niagara Escarpment for 15 years. He takes an obsessively detailed-orientated approach to guidebook reading and collecting. 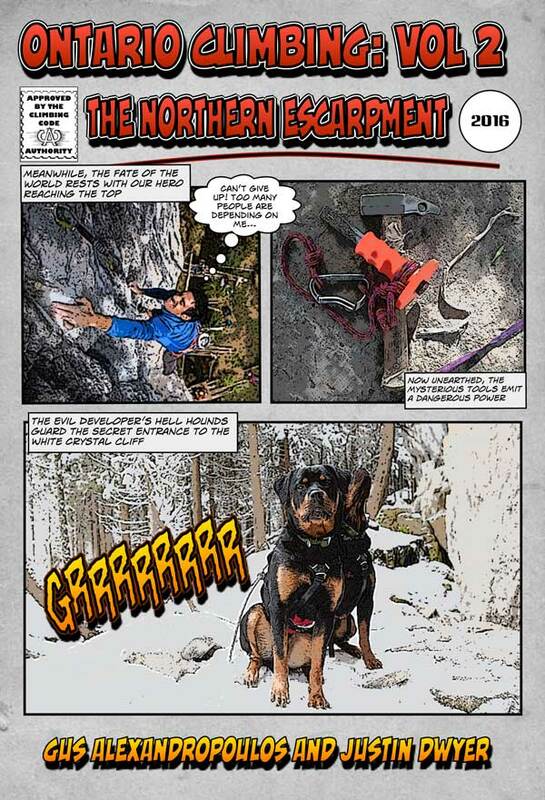 Over the years, he was given the prestigious title of Captain Nemo by prolific Ontario guidebook author David Smart due to the fact Justin has climbed over 65% of the 300+ routes at that cliff. But really, his level of completionism extends far beyond to almost every crag. He is the undisputed master of the Escarpment’s weird, esoteric and obscure.